Thousands of Indians apply through the GMAT route to top MBA programs in the US, Europe, and Asia every year. While many make it, there are also many others who have nothing to show for their efforts but their disappointment. The MBA application process is not always easy, and sometimes it can be plain brutal for those who are not prepared. Taking the GMAT and doing well on it, preparing insightful and interesting essays, and doing well on the interviews are obvious common denominators. Indian applicants, especially those from over-represented backgrounds like IT services, need to focus on a number of factors to create a differentiated and winning application. GyanOne lists some of these factors below. 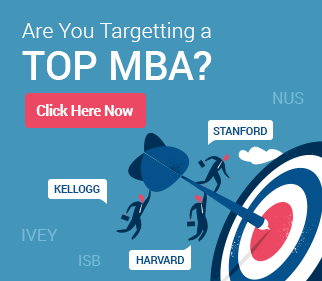 As an Indian applicant, it is easy to get lost in the MBA hype. After all, there are thousands of others applying to top programs based just on the perception of those programs. Statements like “I have a 750 on the GMAT and will settle for nothing less than MIT” are based on the assumption that global top school admissions work much like Indian MBA/undergrad admissions (the test score is pretty much the major selection criterion). Similarly, it is easy to get swept away as an Indian applicant into thinking that it is only the schools with the biggest brand names that can offer a great education. Determining fit is an important step in the B-school selection process. Select a range of schools that will cater well to your functional needs (specialization in Finance, Marketing, IT etc. ), fit within the range of your profile parameters, and help you secure a job in the region that you wish to work in. 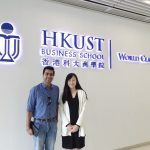 Click here to check out GyanOne’s brief guide to B-school selection as well as obtain an easy list of top MBA programs by geography. You can also check out a list of the best MBA programs in Finance, Marketing, IT, and Supply Chain Management.If you belong to the big pool of Indian IT applicants, check out our series on the Indian IT MBA applicant here. There was a time not very long ago (5-6 years) when Indian candidates used to struggle to showcase extra-curricular achievements (ECA) and participation in activities outside work. That landscape has now changed substantially, and today the average Indian MBA applicant has much to show under the ECA header. However, in the hype, many applicants forget that schools do not look for a laundry list of participation certificates – they look for evidence of solid leadership and achievement across one or two spheres. For the Indian applicant, therefore, it is very important to demonstrate depth rather than mere breadth when it comes to leadership activities. Mentioning a long list without demonstrating impact will attract little credit. US MBA programs demand GPA calculations on a 4.0 scale, and most Indian institutions do not provide results in this format. Either the percentage (absolute) scale is used, or GPA is reported on some other scale (the 10.0 scale is most popular). It is important to remember as an Indian student that the 10.0 GPA cannot be simply scaled to a 4.0 GPA (i.e. you cannot simply divide by 2.5 and be done). For most schools, it is just fine to leave this number in Indian result terms – schools are aware of this and will convert it into their own systems on their own. For those who would like to have an accredited conversion, though, there are services like WES that do so for a fee. They take their own time, though, so contacting them early is important. 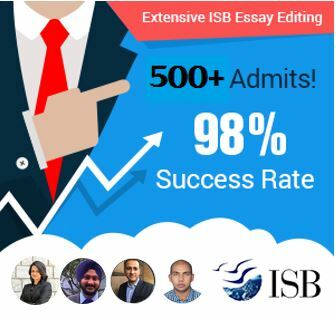 As Indian candidates, sometimes we tend to be very informal in our choice of people for reviewing our essays, helping us to see if our overall story is on track, or just to provide additional perspectives on what could be presented better in our applications. Unfortunately, a lot of this choice is still driven by availability rather than capability. The office colleague who has some time between projects, the sister at home on vacation, or a parent who is a senior executive but has little experience in reviewing a B-school application. Their perspectives may occasionally be valuable, but they are rarely going to be spot-on. Instead seek out people who have had at least some exposure to the admissions process, have applied themselves in the past, or who have strong insight into your career to be able to offer you some new perspectives there. If you feel professional help (an MBA Admissions Consultant) will help, look for a free profile evaluation session. A lot of these also include free essay reviews. 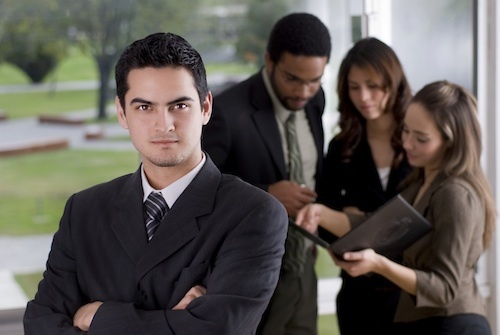 Does joining Toastmasters count as an important extra-curricular activity? I have read somewhere that Indian MBA applicants are at a disadvantage compared to applicants from other countries. Is this true and what are the reasons behind it?